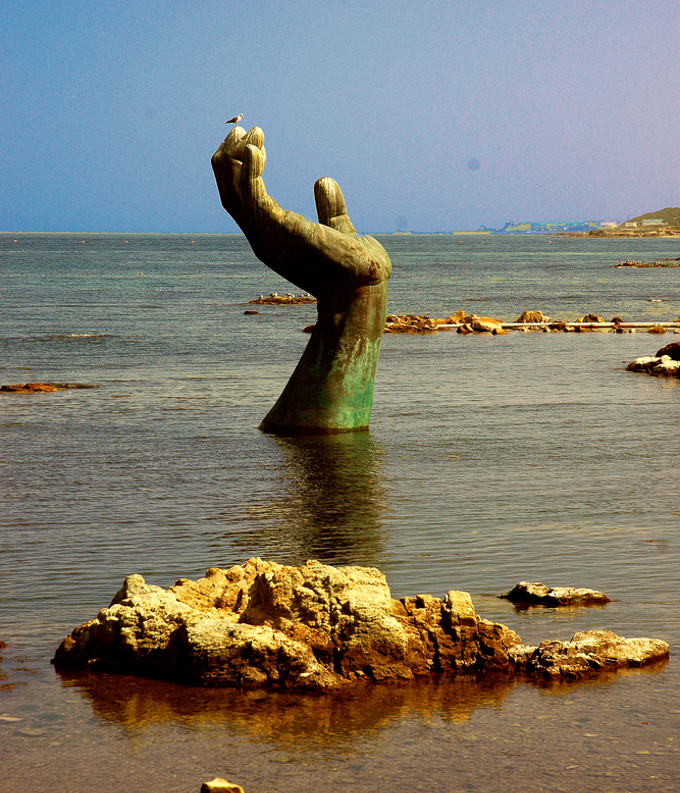 This is the Hand of Harmony rising from the beach at Homigot, Korea. Up on the shoreline there is the other hand making a matched set. The palms face each other symbolizing harmony and unity. The sea side hand marks the easternmost tip of Korea, also referred to as the tiger’s tail, and is said to be an obscure tourist trap, especially photographers. Every year they have a huge New’s Years festival here and release thousands of balloons symbolizing the hope and dreams of the new year and serve ddeokguk (rice-cake soup) to the hungry masses.